Wired motion detectors are hardwired security devices that work to detect the presence of motion. Upon sensing motion, the device will conduct a predetermined response depending upon how it was set up. They can even be used for home automation. 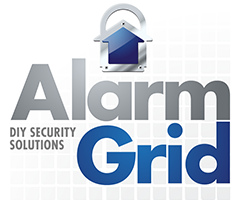 Buy an excellent wired motion detector from Alarm Grid. A wired motion detector is a type of security device that responds to motion. If the device detects a significant amount motion that may indicate the presence of an intruder, the sensor will activate and cause an alarm on the system. The action that the system will take will depend upon how the sensor has been programmed with the system. Some users program these devices to trigger a siren on their system, while others will have a signal sent out to a monitoring station for police dispatch. It is also possible to use the sensor for home automation purposes, such as turning on Z-Wave lights or activating a Z-Wave thermostat. Most hardwired motion detectors operate using passive infrared (technology) or a microwave doppler radar to sense motion. Some wired motion sensors use both of these processes in what is referred to as a “dual-tech” setup. Whether PIR or microwave is used, the motion that is detected will need to be significant enough for the device to activate. This will prevent false alarms by little things like insects or a moving ceiling fan. Some wired motion detectors offer pet-immunity to prevent pets and other small animals from activating the sensors and causing false alarms. Depending on the device, the user might be able to adjust the pulse count of the sensor to make it more or less sensitive depending upon their needs. When considering a hardwired motion detector, you will want to check the provided range of the device. If you need to detect motion across a particularly large area, then you will probably want a motion sensor that is specifically designed for commercial applications, as it will be more appropriate for your needs. Another consideration is the mounting type of the sensor. Some wired motion detectors are ceiling-mounted devices that can look straight down to detect an intruder that has entered through a doorway. Others are wall mounted devices that look for motion throughout a particular area. The type that you should purchase will largely depend upon your unique needs. Mounting location in general will likely play a big role in the performance of the device. The height and angle at which the device is mounted will help to determine which areas are covered and which areas are left unprotected. Another possibility is replacing the lens inside the detector to adjust its view. For instance, a long-range lens can be a great choice for a user who needs to detect motion across a long, narrow area. It is also possible to cover up a portion of the lens in order to restrict motion detector to a particular area. Some users may choose to set up their wired motion detector to be utilized for home automation purposes. This will generally require the user to have a Z-Wave module installed in their security system and to have a monitoring plan that includes Z-Wave control. From there, the user can set up rules and scenes on their system to have Z-Wave devices activate when a motion sensor is triggered. For example, you might have a motion sensor in your living room to dim your Z-Wave lights and turn on your Z-Wave thermostat. This can provide you with the perfect atmosphere for watching a movie, and it can all be set up automatically with home automation. How Do I Adjust the Sensitivity of a Honeywell Hardwired Motion Sensor?